This is my follow up article to American Housing Expenses are Insane. Did you know that a third of car loans in the US are for around $26,000 over 6 years with 9.6% interest? That’s a monthly payment of $475 and a total cost of $33,000. Did you know the average american trades up their car every 6 years? But wait the car payment is just getting finished? So they just get a new one? So effectively they are paying $475 per month, every month for their entire lives? What if that money was invested? Here is an excellent video from Dave Ramsey about this concept. 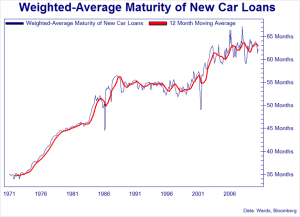 While he still throws out the 12% return numbers (which is even more far fetched for the short term transactions), the video still proves the point: Car loans are a trap and cost us a lot more money on car expenses than they appear to. So obviously buying inexpensive used cars with cash, at least starting out is the best way to go. I spoke in my previous article about how lending guidelines allow for 31% of gross income to be spent on a house payment. These lending guidelines allow for total debt to be 43% of gross income! 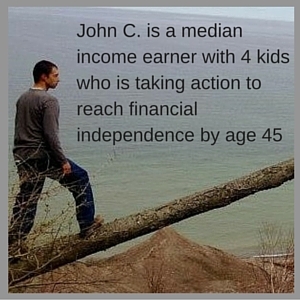 This would make total debt payments over 50% of net income for most people! Debt for cars is highly marketed. Lenders do not care if they put you in a bad position. I have seen car loans in excess of 20% APR, and there are even car loans for 96 months! 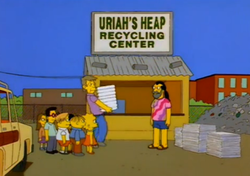 That’s eight years for a car! After the purchase of the vehicle, fuel costs and the second highest car expense. To save on fuel cost first look at engineering controls: What is the fuel efficiency of the vehicle? Then this becomes a simple math problem. Does it make sense to buy a more efficient vehicle? Going from 20 MPG to 30 MPG saves $700 per year, while going from 30 MPG to 40 MPG only saves $350 per year. If the expected vehicle life is 5 more years, then spending $3500 going from 20 to 30 MPG is a wash, anything more would be throwing money away. The only savings would be to the extent that the increase in cost of the vehicle was less than the break even point. What physical changes can be made to the vehicle to increase MPG? Check out the full list at Ecomodder.com, here are some of my favorites. Take out extra weight in the car: seats that are infrequently used and easy to remove, sandbags from winter, and just miscellaneous junk. Tires: There are several types of tires and some are designed to limit road friction, these are the best for increased MPG. Keeping your tires properly inflated is another method to help out. Tune up: Spark plugs, air filter, fuel injector cleaner? Back wheel covers: Some people design their own, while some after market products can be designed to help out with these. When traveling alone, or commuting to work: could biking be an option? Manage speed: This one is almost painful for me to do: Drive at a lower speed, even on the highway. The most efficient speed should be at the lowest RPM in the highest gear. Biking instead of driving: So much of the world uses bicycles as primary transportation. Riding a bike for individual trips is a great mode of transportation at least in marginally decent weather. Bikes are cheap and the fuel is free! If getting a bit sweaty is out of the question, There are these motorized bikes that you can build yourself for around $600, I plan on getting the 4 stroke bare bones model myself. These bikes have a ½ gallon tank and can run at a rate of 150 mpg, at speeds of up to 25 MPH. What is great about these tips is that the vast majority of them not only save on gas but also save on vehicle maintenance and depreciation costs. There are major discounts to be had with car insurance. Use their tracking system to save up to 30% on premiums. These programs track hard stops, speed, time of driving and total miles. Don’t let coverage lapse. Continuous coverage gives an even higher discount. Implementing even SOME of these changes can result in substantial car expense savings. One argument I here often is about safety. “OMG I couldn’t put my wife and kids in a beater!” Really? Let’s dismiss vehicles that you can see the road through the floor in for sure, but a new $26,000 vehicle is not any significant amount safer than a $6,000 car, or a $2,000 car for that matter. Would I let my kids ride in a beater? Always have. Over the last 10 years we have had 5 vehicles that cost under $1,000 each, only one of them I regret buying. I love having a car that I can buy with a weeks income. What it all comes down to is don’t let the things you own end up owning you. 2 Responses to "American Car Expenses Are Insane"
Honestly, I think if you can’t afford to pay cash for your car you shouldn’t buy one. At least, not such an expensive car. Cars are /not/ assets, they depreciate, cost a lot to maintain and don’t last that long – say compared to a house. I bought a second hand Audi a3 t for $6,500. It’s nice, modern and safe, but it caused no where near as much of a dent as buying an expensive car on loans I couldn’t really afford! I’m with you Christine, I had a car loan once and it drove me crazy, We paid it off in under 18 months and decided not to do that again. 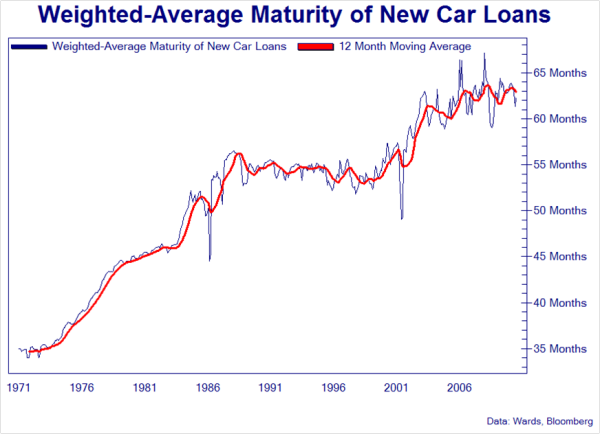 It boggles my mind when I see people getting car loans for newer vehicles. Our culture is so engrained with car loans being “normal” that most people don’t give it a second thought, seeing it as if they can afford the payments, then they can afford the car, which in turn motivates lenders (who are often the seller of the vehicle too) to manipulate the monthly payment by extending the loan out.